As a product, long-term care insurance has suffered growing pains. When it was first developed — with no experience on which to base premium rates — insurers’ actuaries had little to go on. And their earliest guesses proved woefully short of what their companies have needed to pay in claims as both use and long-term care costs have skyrocketed. As a result, policyholders are seeing significant premium increases on an annual or near-annual basis and the number of companies offering long-term care policies is dwindling. Should you own long-term care insurance? And if so, when should you buy it and what kind of policy should you buy? We asked for the insights of three HBKS financial advisors knowledgeable about long-term care insurance. To get us started, the advisors combined to provide some basics on long-term care insurance. If they can’t perform two of the six activities of daily living — all insurance companies look to their doctor to say they can’t do it — that’s when you get coverage. Age doesn’t matter. It could be someone recovering from a stroke. You could use part of the benefits and then stop and keep the rest of your benefits for later. Many people are surprised when they find out it can cover home health care, that they can stay in their home and not have to go to a facility. Also, with most policies, you don’t have to make premium payments when you are on a claim. Some companies offer to coordinate your benefits when you need to go into a facility, someone from the company will help you select a facility. That’s a big benefit to have that guide or concierge service. Another caveat that some providers, such as Nationwide, offer is an indemnity policy, where when you go on claim and they pay you as opposed to you having to submit bills to them for reimbursement. You can use the money for whatever you want, such as having someone grocery shop for you or cut your lawn, or maybe for a family member to help you. These policies tend to be a little more expensive but can solve some of the problems associated with how needing long-term care can affect a person’s life and everyone around them. Q. SHOULD EVERYONE HAVE LTC INSURANCE? A. Furtwangler: The simplest answer is “no.” Part of the decision depends on how much wealth you have accumulated relative to your lifestyle expenses in retirement. Everyone’s a unique case and therefore the decision has to be made based on a variety of issues. Generally, we find that long-term care insurance becomes more appropriate where assets are in excess of $750,000 and less than $2 million. 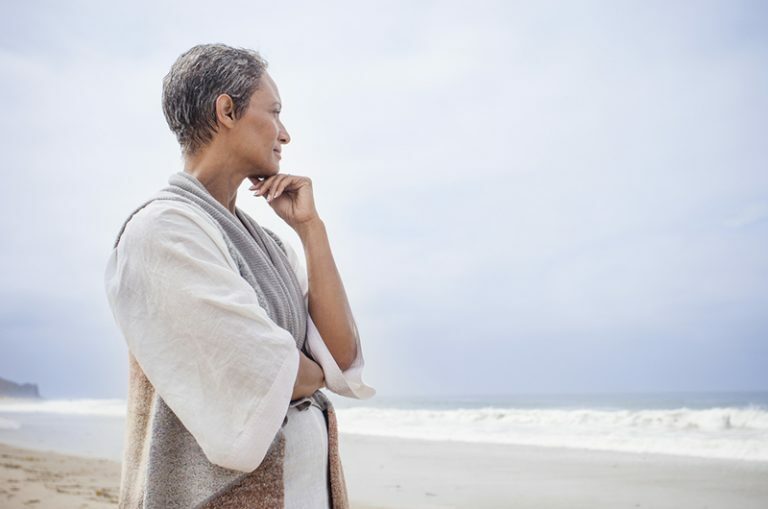 The simple fact is that, generally, if you have less than $750,000, the cost of the insurance tends to be too big of a drain on the retirement assets you need to live on. In those cases we often need to talk about a spend-down strategy combined with Medicaid, should you need long-term care. If you are ultra-wealthy, you likely do not need the insurance and thus self-insure. However some people want to have some coverage for their peace of mind. There are other considerations. For example, you might not be in danger of running out of money should you have to self-insure, but you might want the coverage as a hedge against having to drain your estate for your long-term care. If you have a policy, you have a resource your heirs could utilize for you to help make decisions about what kind of facility you’re going into, how expensive it is, etc. With that asset already paid for, they’ll be able to take advantage of it and utilize as many of the policy’s benefits as possible. Q. ARE ALL LTC POLICIES ALIKE? A. Costigan: There are essentially three types of policies. The only type we sold eight to 10 years ago was the traditional long-term care policy, which acted much like automobile insurance where you pay an annual premium and if you never use it it’s money lost. While you don’t get a return, the traditional policy is pretty cost-efficient. The benefits are very good if you need long-term care. But the insurance companies are legally able to come back and ask for a higher premium, and states have been approving hikes because the insurance companies can demonstrate how they woefully underpriced the policies. The average stay in an eldercare facility is three years but it’s skewed because so many stay for just a few months and some, with Alzheimer’s for example, stay for 10 or more years. In some cases, the annual rate hikes are 40 percent and more for the same amount of coverage with some consideration for inflation. We don’t even quote those policies anymore for our clients because you’re getting into an open-end contract that could result in a complete money drain. A second type of coverage is a universal life policy with a long-term care rider. You can pay premiums for a certain period of time or for life. It’s more expensive than the older style policy, but you’re getting a return on those dollars, either for long-term care before you die or as a death benefit for your beneficiaries. It’s an asset. You’re taking dollars from your investment portfolio or cash and putting them into another asset. The third type of long-term care policy is a hybrid universal life insurance policy, like Lincoln’s MoneyGuard, which is advertised by Lincoln as a safer option. If you need long-term care, you can receive income tax-free reimbursements for qualified long-term care expenses. You can get a multiplier of years, say a reasonable amount of benefits for six years, but it’s a limited pool of money. It won’t pay for your entire life. If you don’t need long-term care, the policy provides an income tax-free death benefit, reduced by any loans, withdrawals and benefits paid. If you change your mind, you can receive a full return of your premium after year five, subject to a vesting schedule. Furtwangler: There are also a variety of other types of hybrid products. Some of these are annuity based with significantly fewer underwriting requirements. There are also whole life chassis products that might incorporate a joint life policy. The latter of these even offer an option for unlimited benefits as opposed to a limited term pool. Obviously the more bells and whistles you build into any of these products, the more expensive they become. It’s important to note that these are some of the options today, but the industry never stops evolving. Rinn: A lot of people with significant wealth choose to self-insure because traditional premiums have gotten so high. But many of our younger clients want us to use life insurance with long-term care riders. It’s attractive because we can lock in their costs today and have an asset that even if they don’t need long-term care it will pay for something else as opposed to putting money into something that you pay for over 25 years and don’t get anything back. These newer types of policies allow us to plan better. One of my clients recently elected to use some profits from the market run-up of the last two years to fund policies for him and his wife. Even if they don’t use the insurance, it’s going to pay some sort of benefit. That can be better than drawing more from their investments to cover the traditional policies. Q. ARE YOU ADVISING PEOPLE WITH TRADITIONAL POLICIES TO CHANGE TO ONE OF THE NEWER TYPES? A. Rinn: Most people who bought traditional long-term care insurance in the past are getting notices of premium increases. Still if you compare the premium to the out-ofpocket expense for a new policy, their existing policy is a good value. If you look at a traditional policy, what the current benefit would be if needed today and the current premium, then add the inflation rate to the current benefits, well, you can’t get anything close to that today on open market. And while there is the uncertainty about future premium rate hikes, because state insurance departments have to approve rate increases, I wouldn’t expect they’re going to price people out of their existing policies. So the premium-to-cost benefit ratio outweighs going out and getting something new. Better to stay the course. I have a client with a traditional policy that we look at every year as his premiums keep going up. So we go over the spreadsheet to review the benefit versus the cost and compare it to the universal life with a long-term care rider. With his rate increase, he might be paying $3,500 for himself and the same for his wife, but for both of them to go out and get similar coverage, we’re talking about approximately $10,000 per person. So the traditional policy is still a really good deal but they have to understand that this is not going to be the end of these premium increases. Q. HOW DO YOU RECOMMEND PEOPLE PAY FOR THEIR POLICIES? A. Furtwangler: This depends on the situation. Annual payments of a traditional longterm care policy absolutely fit in many situations. That being said, a single premium makes sense for clients who can afford to put $100,000 dollars or more into a nonperforming asset and still accomplish their other goals. If you have liquid assets of say under $1.5 million you might need those dollars to be productive. In that case an annual two thousand dollar premium might be okay as it would stretch your retirement dollars a little farther. For others, a 10-pay hybrid is an option while they are in the last decade of their working careers. Q. WHO SHOULD HAVE LTC? A. Costigan: Typically we are looking at it for people age 50 and older. It depends on the client of course, but that’s when they have the cash flow to start solving the problem. Unless you have access to a group long-term care policy, and while even that can be expensive for older people, it’s not as bad as you might think, given all the changes in industry. Rinn: I have clients in their early 40s looking at it. They have maxed out their company retirement plan, funded their kids’ educations, funded their own retirement accounts, and still have disposibe income. That brings up the question of long-term care insurance, and in that situation incorporating it with the life insurance has been the right thing. Furtwangler: I can’t imagine a 32-year-old buying traditional long-term care insurance and committing to premiums for the next 40 or so years versus a product with an asset. Then again I don’t see a lot of 32-year-olds giving long-term care much thought. Frankly the people most interested in long-term care are those who have seen its impact first hand with a family member. Despite that, it’s important to bring these concepts up, even if the answer is to do nothing. It’s more a function of being able to commit to a viable budget. There are plenty of people with less than $750,000 in retirement savings who want long-term care insurance. They’re concerned about what might happen if they need care. But committing three thousand dollars to an annual premium — or twice that if they’re married — breaks their financial plan. Heaven forbid they should get a 30 percent rate hike after a few years of paying, it could turn out to be a tremendously bad financial decision. The point is that most times someone’s retirement budget is already tight; adding $3,000 to $6,000 per year simply doesn’t fit and if that doesn’t fit, allocating $50,000 to $100,000 in a single premium definitely won’t. It’s important to note that every situation is different. Case and point, I have a client with $250,000 in retirement assets and she might invest in a hybrid. She is a widow and has very modest outflows, no debt, and she has $2,000 per month in extra cash flow thanks to social security and a pension. Meanwhile her $250,000 has been in cash or cash equivalents. She really is concerned about what happens to her now that she is alone, plus wants to leave some estate to her family. She is also not very comfortable with allocating significant sums into the market. As such, repositioning some of the nonperforming assets into long-term care hybrid that has a return-of-premium option, death benefit and long-term care benefit makes some sense, despite assets of less than $750,000. Q. SOME PEOPLE HAVE ACCESS TO GROUP LONG-TERM CARE INSURANCE THROUGH THEIR EMPLOYER. IS A GROUP POLICY A BETTER DEAL? A. Furtwangler: The short answer is that if you have access to group coverage, I would highly recommend examining it. These policies are significantly less expensive in most cases, even after the rate increases. You do need to be sure you understand their limitations and caps, but I have yet to see a group policy that it didn’t make sense to sign up for, even if you need additional coverage above and beyond the group policy, as the blended cost will likely still be attractive. While there are limitations, your cost per unit of value and the overall product is as good, or more often superior, to private placement policies. Q. HOW DO YOU ADVISE YOUR CLIENTS ON LONG-TERM CARE INSURANCE? A. Rinn: We don’t actively seek to sell long-term care insurance, but if there’s excess cash or withdrawal rates are low or they’re not spending the money they’re withdrawing, we’ll talk about it. For the most part, people ask us about it. They want to make sure they have a bed, their own room, make sure someone can take care of them if they need it. Furtwangler: The magic in this planning is that while we don’t actively sell long-term care insurance, we can identify where it’s a fit and then provide our client options and a recommendations often before the client brings it up. A question we face from people who bought the early policies and will continue to face is about the cost structure as premiums continue to increase. Where does it fit and where doesn’t it? It’s a difficult situation when a client has a 35 percent premium increase and can expect another similar increase the following year — at some point in time it will get too expensive. There are things you can do to make it more palatable, like change the benefits, but is that really a good solution? What happens when it has gone up 70 percent over the years and you’ve paid into it all along but it’s no longer affordable? Of course the older you get, the more likely you’ll use it. So it’s a conundrum. You have to have a very deep conversation with your advisor about what’s sustainable and what’s not and how you’d handle needing long-term care if you didn’t have the insurance. Rinn: These are the types of situations where we are most valuable to our clients. Even when we’re talking about whether or not to buy long-term care insurance. Because we’re not just selling insurance, because we’re familiar with the client’s entire financial picture, we can sit down with the client and dig into all the options — this is your premium, this is what you’re going to get if you need it, this is your life insurance and what the insurance company is on the hook for — and compare that to self-insuring, leaving what you’d pay in a premium in your investment account and projecting an annual return on it. And at what point you have enough money in hand that you don’t need long-term care insurance. This is where we are better prepared to help than an insurance salesperson. Furtwangler: Yes. This is our client. We’re already working with her or him. We’re sitting on the same side of the table. What makes us different from an insurance agent is not that we have different products — most agencies can provide a variety of carriers and policies. Our difference is that we do not start and stop at insurance. Once you engage us, we understand how your math works, your finances, your future aspirations. We understand the impact it has on what matters. The insurance guy isn’t going to know or understand those things. Rinn: For example, a client in her late 60s has a nice income between her pension and social security. She might need $80,000 a year for long-term care, so we do the math and determine how much she’ll need from long-term care insurance. So it might not be about fully insuring, but hedging, to give you the best chance of not impoverishing a spouse or eroding your estate. The intention is to protect the estate and provide for the care. We have all those numbers and are close to our clients, so we can do the math and we understand what is important to them. Furtwangler: Long-term care, and more generally insurance, should not be viewed in isolation. Not only is the industry constantly in a state of flux, but each individual situation is unique. One thing is certain, it will be incredibly difficult for an insurance only salesperson or agent to remain independent when helping you review your options and even more difficult to fully understand its place in your life. This decision is better suited for wealth advisors who know you and your overall financial plan and can help balance the risks of prolonged long-term care with the expenditures related to insurance. We can also help you use any benefits that payout from the policy and integrate that into your financial plan when that time comes. An independent review will help you consider a variety of scenarios specific to you. Matthew Costigan is a Principal and Senior Financial Advisor in the Pittsburgh, Pennsylvania, office of HBKS Wealth Advisors (HBKS). He began his career in public accounting in 2003 specializing in individual and trust taxation with a Big Four firm, joined Hill, Barth & King LLC (HBK) in 2006 and then joined HBKS in 2008. His extensive individual tax knowledge includes planning for the impact of qualified and non-qualified investments. Steven Rinn is a Principal and Senior Financial Advisor in the Erie, Pennsylvania, office of HBKS® Wealth Advisors. He began his financial services career in 2003 and became part of HBKS® in 2005. Ryan is a Principal and Senior Financial Advisor in the Stuart, Florida office of HBKS®Wealth Advisors. He began his career in 2002 with a regional brokerage firm in Pittsburgh, Pennsylvania. He subsequently transferred to an advisor role at a large international brokerage firm and ultimately began managing his own office for the firm. In 2005, Ryan transitioned his practice to HBKS® and relocated to Stuart with his family. In addition to his regular wealth management and planning duties, Ryan has supervised the Stuart team’s insurance strategies for over a decade. He also provides insurance analysis and assistance to the HBK tax department on an as needed basis.